It came as no surprise that this little treasure took out the top spot – as anyone who has been here can tell you, Whites deserves it. 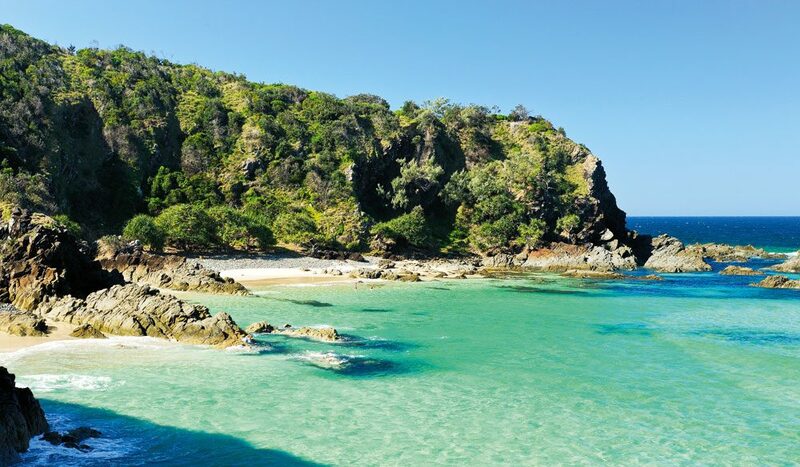 You’ll find this beach at one of Australia’s most popular destinations, Byron Bay, but even though it’s just down the road from million-dollar Main Beach, it feels a world away from anywhere. To get here, you need to drive down a dirt road through rainforest, stop at an unmarked spot, and wander down a quiet, tree-filled path onto the white shoreline – a bit of an effort, but it’s worth it, says Rickard, who gave this beach a 9.5. The rest of the panel agreed, with Ross, Franks, Rafter and Brown all giving it scores of 9 or above. “To me, this is what Byron is about,” says McEvoy. We couldn’t sum it up any better. I would like to know who nominated Whites beach in the first place, or how it came to be nominated. Thanks. Mark. Wow, thanks for putting it out there for the rest of the world to see. The reason it has charm, and feel, and is secret, is because stupid idiots don’t go and publish it in magazines. Thanks for ruining this piece of paradise for those of us that have grown up with its seclusion and tranquility our whole lives. Good work!!!! Bit of an Oxymoron Publishing Secrets isn’t it???? Thanks again fools, hope to never see you there!! Nice one dickheads! Why don’t you go back to writing about Noosa and Surfers Paradise you ignorant moron with zero social intelligence! Too hard to get to, not worth going to. No one should bother. Stay away. Yeah enjoy Whites beach if you’re into long steep rocky mountain climbs, brown snakes, and dudes who beat off in the dunes, oh and then there’s the notorious sharkiness, car theft, and less-than-welcoming locals – I’ll stick with The Pass thanks. All I hope is that ‘Rickard’ along with the panel, Ross, Franks, Rafter and Brown all have an amazing “Secret” spots they have enjoyed going to throughout their lives and that it too will be ruined by being published in a travel magazine. Are the above comments attempting to compare Australian Traveller to Wiki leaks? The territorial nature of some of these comments is reminiscent of the Bra Boys. Come on…these are public places – which we all deserve to appreciate and revel in their natural glory, not just those ‘locals’ lucky enough to know about them. I don’t think that’s in the Aussie spirit. 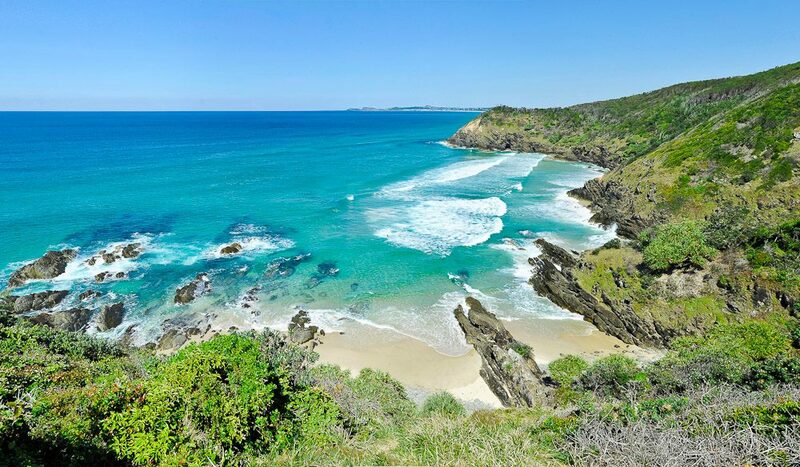 Besides, hasn’t anyone heard of the internet – Google beaches in Byron Bay, and you’ll find ‘White’s Beach’. The internet ensures nothing is kept as that much of a secret anymore. Thanks guys, I look forward to absorbing the natural beauty next time I go to Byron, as a responsible adult Traveller. I’ve only been here once and will never go again. It’s dirty and looks nothing like the picture. Don’t know what all the fuss is about really… wouldn’t recommend anyone going there. I am wondering if those that are writing such negative comments and don’t like the fact that this “secret beach” has been made “public”, are also on this website because they too, would like to know what amazing places there are out there in Australia? My thoughts are that this place looks amazing and as an avid traveller, appreciate the heads up for places to visit. Thanks! Wow. It’s a great beach to go to. I recommend everyone to go and see this beautiful beach. Thanks to this article we all came up to see it and it was worth it. The people who did not want this article to be published because they wanted to keep this beach to themselves are like children not sharing a toy. Only difference it it is not their toy. Do not believe the negative comments trying to keep you away. I recommend all Australians to come and see this beautiful beach. You will not be sorry. It is easy to get to. Come everyone! It’s the best. Wally Wet-One while quick to make nasty comments is also someone who manages to get his facts completely wrong. The beach he is describing is King’s Beach, a popular gay beach near White’s Beach. Both beaches are on Seven Mile Beach Drive so called because there’s seven miles of beaches. At the northern end before the road starts you have Broken Head Beach, which runs up to Byron Bay Lighthouse, has life savers, protected swimming and is great for families, then comes a run of small beaches as you head south through Broken Head Reserve, until you reach the massive Tuckeroo Beach that runs from Broken Head to Suffolk Park, it has a reputation for being rather treacherous due to rips and is not a great choice. Wally, glad to hear you’ll stay at The Pass; we don’t want your sort in our neck of the woods. The judges of this great beach were right, you were wrong. looks stunning! thank you for sharing.. and for those who feel so threatened by having other humans know about a beautiful piece of the world that belongs to “all of us”… open your hearts. This is heart wrenching… If people want to find secret beaches they will talk to people from around the area or go exploring. This filters out the types of people that do not belong at places like whites. But yeah, makes a good article, hope your boss was happy with you. You have no idea how negative the impact of an article like this really is.. The fact you write in byron bay on google maps and this is the first thing to come up is absolutely heart breaking. Here’s to a brave new world, where everything of natural beauty is exposed, commercialized and drained of all enchanted. Where is the reward in finding a secret beach if you googled it?